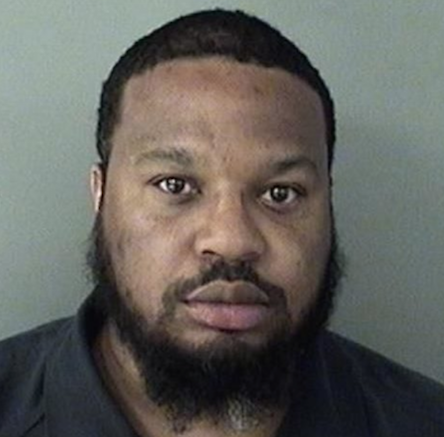 An arrest has been made in connection to the sneaker store arson and burglary on Columbia Pike last Friday (April 13). Jimmy Andrews, 44, of no fixed address, has been charged with arson, arson while committing a felony, burglary, and grand larceny. He was arrested while “walking in the area of Columbia Pike at S. Walter Reed Drive,” according to police, at about 4 a.m. this morning (April 19). Legends Kicks & Apparel, the business that was burglarized and set alight, is approximately 360 feet from where the suspected arsonist was arrested. Patrol officers observed Andrews and noted that he matched the suspect’s description, according to the Arlington County Police Department. Andrews was “found to be in possession of an item of value allegedly belonging to the victim business,” according to an ACPD press release. On Tuesday (April 17), police released a video showing the suspect walking along Columbia Pike and spilling merchandise along the sidewalk. Here was the video of the man caught on video after the crime.